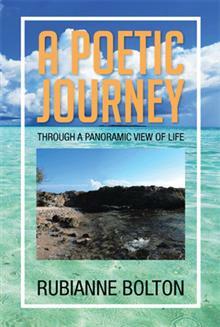 Rubianne Bolton marks her debut in the world of literature with the poetry anthology, A Poetic Journey: Through a Panoramic View of Life. Heralding the arrival of a unique poetic voice, this collection will comfort the heart, uplift the spirit and enrich the soul. In A Poetic Journey, Bolton encourages readers to immerse themselves in the things that make life more meaningful. She celebrates the joys of love, the wisdom that comes from God, the beauty of nature and all the elements that make each person’s journey profound and insightful. Her poetry is more than an artistic expression; it is a transformative experience, one that will let readers look at themselves, the world and life in a new light. “I want the readers to find parts of their own life experience in my poetry and discover that God’s spirit is in everything. I also, want the reader to be inspired to experience an awakening in how they view their own lives and the world,” Bolton says. 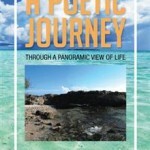 Thought-provoking and filled with exquisitely nuanced insights on life, A Poetic Journey is a universal story of life and a testament of poetry’s power to touch the heart and transform the mind. Rubianne Bolton is a first time author. She is an alumnus of the University of Pittsburgh and is currently residing in New Jersey.